An affordable housing price war has begun in Dubai’s real estate market, with a new company upping the ante for a project endorsed by Bollywood superstar Shah Rukh Khan. Studio apartments in the Royal Estates in Dubai Investment Park (DIP) will soon start selling for Dh284,888, while one-bed units will be offered for Dh575,888. “The official launch of the apartments will happen in the coming two to three weeks. “These units are very much in the affordable price range and something that the market has been seeking,” Shahid Rasheed, General Manager, Texture Properties, told Emirates 24|7. “Our price per square foot stands at Dh580. The response in our pre-launch has been great,” he said, revealing, investors will have to pay a 10 per cent down payment on booking, with the balance payment being paid over 4.5 years in EMIs of nearly Dh3,600 per month. The first phase of the launch will include three towers, consisting of 1,200 apartments, which are set for completion by end-2017. Aristocratic Star, Pacific Ventures and Texture are co-developing the development’s apartment building component, worth Dh1.6 billion, according to Parvez Khan, Chairman, Pacific. In August 2014, Emirates 24|7 reported that Shah Rukh Khan, the second-richest actor in the world with a personal wealth of $600 million, was pitching for affordable housing in Dubai. “It should be something belonging to the world where I belong. I am a lower middle-class guy… if I wanted a house, a house for myself, what would it be like? “Please try to make it affordable and try to have a kitchen as a central theme,” the actor said. 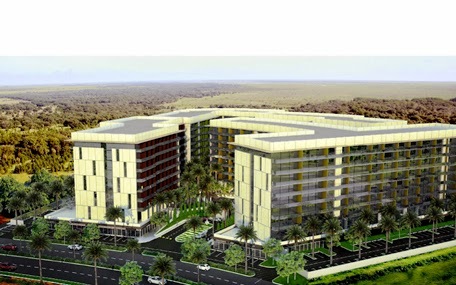 Nshama, a real estate developer, has already started selling apartments for Dh349,988 in its Town Square project near Al Barsha, in close proximity to the Arabian Ranches Golf Course. Craig Plumb, Head of Research, JLL Mena, and Mario Volpi, Managing Director, Ocean View Real Estate, told this website last week that they were expecting other developers to follow suit and launch more affordable units into the market. In March 2015, Emirates 24|7 reported that Dubai Municipality (DM) had allocated over 100 hectares of land for affordable housing, mostly to meet the demand for dwellings for people earning between Dh3,000 and Dh10,000 per month. “In just three areas — Muhaisnah 4, Al Qouz 3 and 4 — we allocated land in excess of 100 hectares for affordable housing and that will take up more than 50,000 people. “We have many more areas where similar housing will come up,” Abdulla Mohammed Rafia, Assistant Director General for Engineering and Planning Sector, DM, said. Khalid bin Kalban, Chief Executive Officer, Dubai Investments, a Dubai stock exchange-listed company, told this website that affordable housing market was going to outshine luxury market segment in 2016. “I think 2016 onwards there will definitely be a pick-up in affordable housing because of the projects being undertaken by the government such as the Al Maktoum International Airport, Expo 2020 venue development and theme parks in Jebel Ali area,” he said. Dubai is expected to create over 277,000 new jobs in the run up to the Expo 2020 and may witness an undersupply situation rather than an oversupply. Moody’s Investors Service, a global ratings agency, has said the government spending on infrastructure and encouraging more foreign investments in various sectors will support the real estate market over the next five years. The government has announced the new Dubai Metro Route 2020 project - an extension of the Metro’s Red Line from Nakheel Harbour and Tower Metro station to the Expo 2020 site, which will serve Gardens, Discovery Gardens, Al Furjan, Jumeirah Golf Estate, and DIP, which house over 240,000 residents. © 2015 Top UAE Real Estates. Designed by Top UAE Real Estates. Powered by UAE's Best Property Portal.